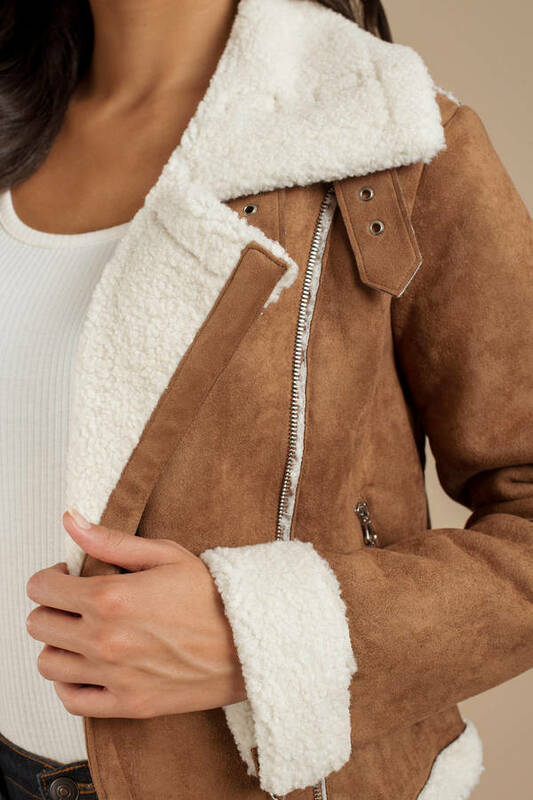 Check out Tobi's Quincy Shearling Jacket Make that winter getaway happen in ASTR's Quincy Camel Shearling Jacket. This oversized wool coat features soft shearling, large collar, contrast stitching, and a front zipper. Your next après ski 'fit? You bet. 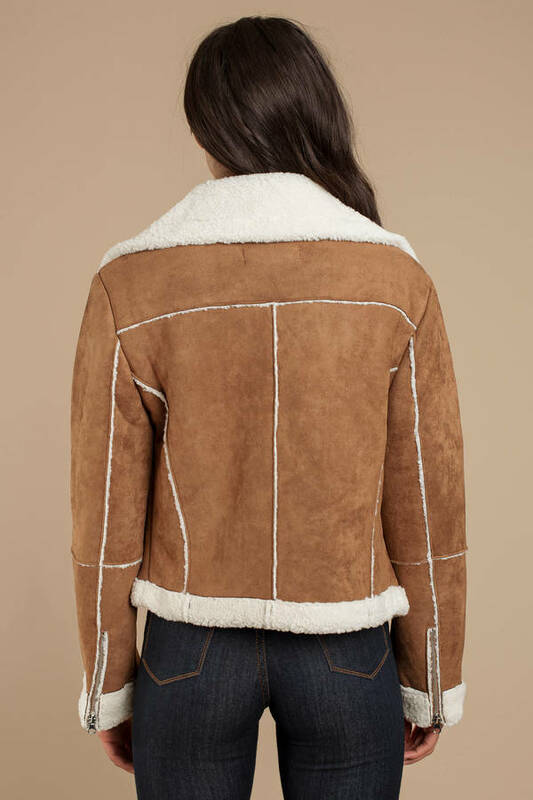 Make that winter getaway happen in ASTR's Quincy Camel Shearling Jacket. This oversized wool coat features soft shearling, large collar, contrast stitching, and a front zipper. Your next après ski 'fit? You bet.